This statement is going to make some people angry, but the guy or gal flying the aircraft you are riding in may not have the best "handle" on what is going on with the aircraft, the environment, and the situation at any instant. Don't believe me? I have four little answers to that. N. T. S .B. As we sit and contemplate crashes, mishaps both large and small, it is easy to fall into "armchair" mode and smugly ask ourselves "how the heck - or why the heck - did they do that?" Monday-morning quarterbacking ignores the fact that the people who participated in the adverse event were "in the arena." As safety-expert, AMRM wizard, and former EMS pilot William Winn pointed out in his work on AMRM and situational awareness; we who fly operate in a naturalistic environment. So, what does that mean, "naturalistic environment?" Well, it means that flying an aircraft in uncertain weather conditions at 3:00 AM with the possibility of unlit towers in our path, birds everywhere, a patient whose condition is deteriorating, a headwind that wasn't forecast, and a fuel gauge that seems to be racing to empty is much different than sitting on one's sun-porch and pontificating on who did what where when and why. Here is a note on a famous "naturalistic environment." On January 22nd 1991, during the Gulf War, an eight-man S.A.S. 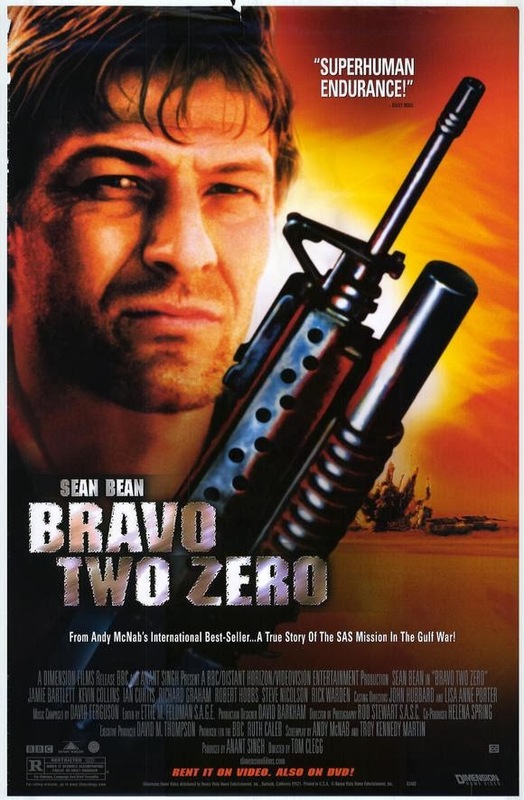 (Special Air Service - Britain's version of - and the precursor of - our Delta Force) team known as Bravo-Two-Zero were sent on a mission behind enemy lines. Their mission was to remain concealed near the main supply route in Western Iraq for 14 days. During this time they would be expected to sever Iraqi fibre-optic cables, and report on the movement of scud missile launchers. However, due to source limitations, they were given suboptimal equipment. They also received vague intelligence reports. This was apparent when they arrived at their drop off point to find it only about 200 meters from an Iraqi anti-aircraft stronghold. This had not been reported by Intelligence. Because this information was crucial to the success of the mission, the group attempted to contact their base via radio and inform them of the new situation. It was at this time that they realised that they had no contact with base. It was later discovered they had been given the wrong radio frequencies. The group then made the decision to sit out until a liaison arrived in 24 hours. Unfortunately, that was too long a wait. They were spotted by an Iraqi goat herder, and from then a malady of errors began its course. The team were separated. They were confronted with intermittent enemy contact, and were completely unsupported by the larger organisation. Over the next three days, three of the eight died, and four were captured. Only one man made his way back across the Syrian border. This planning error resulted in one of the most costly patrols in SAS history. This event was described in a riveting book and movie, and points out how the best-laid plans can go to hell in a handbasket. In a nutshell, what we have to do at 3:00 AM (or at anytime we are flying) is react to ever-changing conditions by an ongoing process of situation-assessment, pattern-recognition, situational-awareness, and decision-making. Each choice we make affects our future, and typically leads to other choices having to be made, to react to future changes in our situation. All this occurs in a rapidly-changing dynamic environment with various stressors, distractions, and a lack of resources - like time! It's no wonder that things go wrong. Indeed, it's a wonder that things don't go wrong more often. The standard operating model in HEMS is a single-pilot, single-engine aircraft with modest capabilities, and "crew-members" who are not really recognized as such by the FAA or - frequently - the pilots flying the aircraft. Vernacular statements like, "self-loading baggage," "climb-in, strap-in, and shut-up," and "you take care of the sick people and I will fly the aircraft," reveal the state of things in our industry. We don't have a copilot there to monitor our performance. And this contributes to fatal crashes. I sat in the jump-seat of a C-5 Galaxy once, on a flight from Japan to Korea. As we got ready to take-off, the PIC stopped the aircraft (all 380,000 pounds of it), turned around, and stated to the entire body present, "okay, so what we are going to do is..." After describing his understanding of the future, he made sure that's what we all had in mind too - even me, an army warrant officer helicopter pilot. He wanted to develop a "shared-mental-model," and offer a chance for anyone to detect a plot-flaw. I saw an item recently mentioning that EADS was going to become AirBus. I did not realize that this change was going to be across the spectrum of products, from passenger jets to helicopters, but the back page of the Jan/Feb Air Medical Journal spells it out. A full page ad for training with "AIRBUS" Helicopters. One of the recurring observations in my EMS flying career has been that program leaders have a hard time leading. Perhaps it's due to HEMS involving professionals, people who sell their talent and skill rather than their simple physical labor. Professionals might be assumed to chafe at the yoke of being "led," or perhaps the atmosphere is assumed to be more collegial (of or characterized by the collective responsibility shared by each of a group of colleagues, with minimal supervision from above.) In truth, most groups of working people need a leader. There will always be someone pushing limits. There must be someone else to enforce them. I have worked at dozens of flight programs. Each has it's typical range of personalities, - the stars, the plow-horses, the puzzles, and often a troublemaker or two. Perhaps dealing with these bad apples is viewed as too much trouble, or fraught with risk of legal repercussion. Perhaps the risk is that the persons in question might damage the standing of the program in the community and reduce demand for service. Or maybe the leader is uncomfortable in a conflict situation. I was there once, in an uncomfortable conflict situation. As a young man in the Air Force, I worked as a manager in military clubs (open-messes). As a club-manager I had been forced to fire people who were incapable of keeping up with money or responsibility - and it was never easy. I agonized over having to let a person go, but I felt that it was best to set and maintain a standard of behavior. Otherwise, chaos and anarchy would reign. Fast forward a few years. 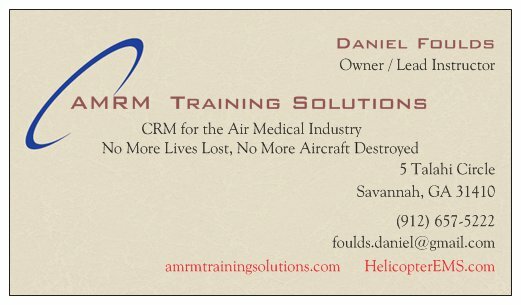 I found myself working as an instructor-pilot flying the MH-47 Chinook in the Special Operations Aviation unit in Savannah Georgia. I developed friendships with the other "conventional" Chinook pilots at Hunter; we gathered for parties. It was a happy time. Then a pilot-friend from the other Chinook unit decided to volunteer for duty with my regiment - the 160th. I was assigned to travel to Fort Campbell to conduct his assessment, a process designed to test the mettle (or metal) of the volunteer. Part of the assessment is a check-ride beginning with an in-depth question-and-answer session and a flight to an objective - which must be reached within 30 seconds of the designated time-on-target. Assessments are hard on assessees, and any person who even tries is to be admired. As events unfolded, it became apparent to me that he had let his knowledge of the things we are supposed to keep up with slip. He had stopped putting forth the effort required of an army aviator, and was coasting. It was uncomfortable for me. We were friends. I didn't want to go there. I didn't want to "toss him under a bus." I almost let it go. Then, I considered my regiment. And our standard of behavior - our code of conduct. I had no choice - I had to report honestly on his performance as he stood at attention in front of the officers sitting on his board. It was brutal. They were brutal. Had I been in his shoes, I might have given up. My commander chewed him up and down. I can only imagine how bad it felt to be Chris Scherkenbach that day. 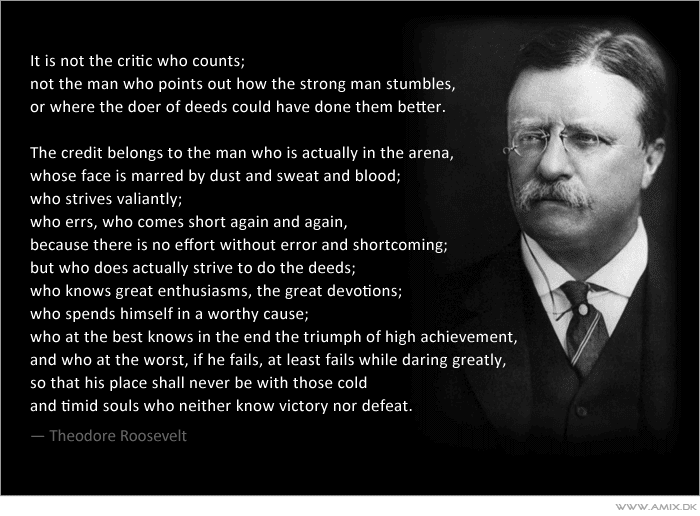 He demonstrated courage and integrity when I asked him, "would you say your sub-standard performance is due to the low-expectations and mediocrity of the company you are assigned to - or are these failings all your own? He stared straight ahead and took responsibility himself. "It's my fault - not my company's." His response was what the board was looking for. You can teach a monkey to fly, but you cannot turn a monkey into a man. The 160th is a place for men; men of integrity, courage, and capability. And perhaps someday women with these same characteristics. What I did was hard. It was hard on me, and it was harder on him. I retired from the Army. Chris did a 180-degree course reversal, and turned himself into the kind of pilot we should all be. His knowledge and skill became second-to-none. He was a leader, a team-player, a master of his craft. He flew special operations forces in support of national objectives world-wide. One day in Afghanistan, a SEAL team got into trouble and called for help. 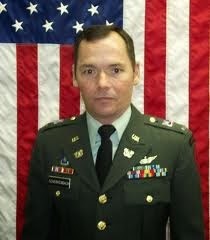 Chris Scherkenbach was one of the pilots the commander sent to go rescue them. When trouble came calling - and the commander needed to send the very best - he sent Chris. You can see a picture of Chris Scherkenbach, and the entire crew of that Chinook, if you sit through the movie "Lone Survivor" till the end. They got shot down and killed. Chris is now a national hero, he belongs to history. He is an example for all Americans to follow. His excellence is set in stone. I thought that I was being unkind and disloyal to a friend the day Chris Scherkenbach assessed for duty with the 160th. I was wrong. By upholding a standard of performance I did both him and my organization a huge favor. It took courage for me to do the right thing. It took courage for him to withstand the assault. I hope that you, as a leader in the business of flying sick people, can determine what the standards of performance for your organization should be, and then have the courage to uphold them. We operate under pressure. It's a fact of life, and how well we deal with it determines how successful we are at staying alive. 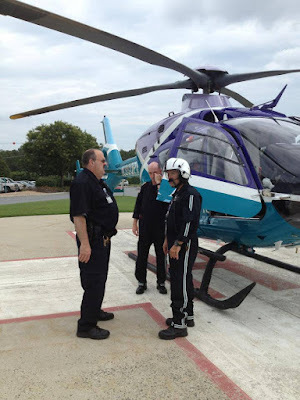 In HEMS, pressure to fly can come from many directions and is often "self-induced." As a new EMS pilot I spent time thinking about lives depending on me. I still do, but now the lives I think about are the crew sitting next to me. I am much more interested in avoiding harm to them than in flying some stranger. We can worry about our low flight-volume and attempt flights that we shouldn't when the weather is marginal. Management can pressure us. Managers don't think that things they say will cause you to go and get yourself killed, but it has happened and will happen again. Why not let it happen to someone else? Recognize pressure where you find it. Acknowledge it. Understand it. But don't let it kill you. Here is an excerpt from an investigation that speaks to pressure. 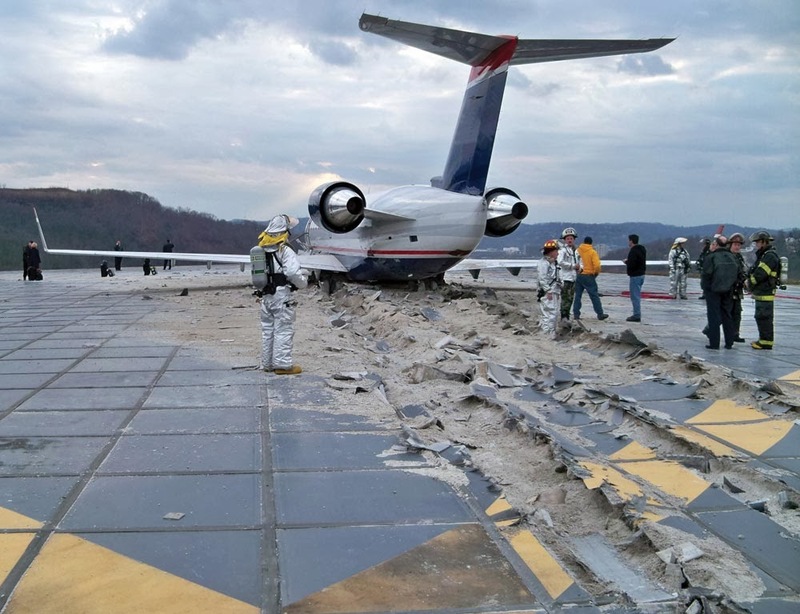 "The pilot’s financial pressure as the owner of the company likely influenced his decision to continue flight into deteriorating weather conditions. 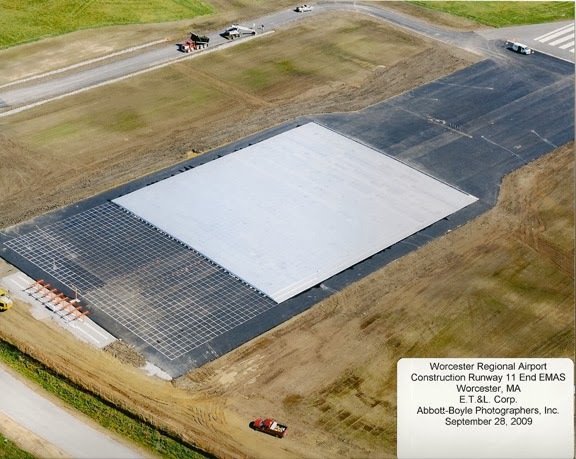 The operator’s business had declined several years before the accident as a result of economic recession. The accident helicopter had been leased days before the accident. 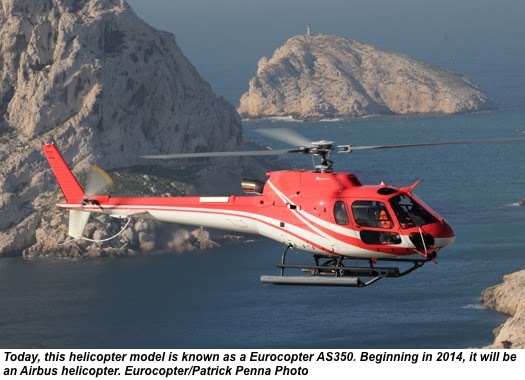 The operator’s only IFR certified helicopter, which was the largest customer’s preferred helicopter, had been down for maintenance for 4 months while the operator attempted to secure loans for engine maintenance. The pilot was scheduled to meet with this customer in the coming weeks to obtain clarification about the customer’s requirements. The pilot was also aware that his largest customer had begun identifying other aviation companies that might better fulfill its needs. Thus, the pilot would have been highly motivated to complete trips as requested so that he could demonstrate the reliability of his service. 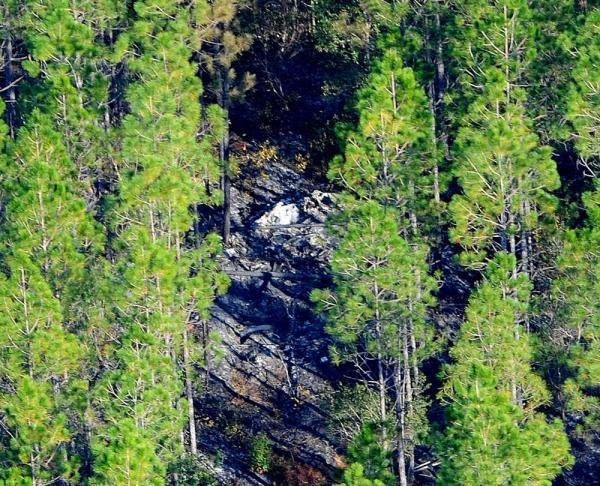 Additionally, due to the economic downturn, the pilot’s company had lost millions of dollars during the 3 years before the accident. Therefore, the pilot likely wanted to make the most of every revenue generating opportunity." I have succumbed to this pressure myself. And nearly got in over my head for doing it. It's easy to fall in and hard to get out. You do not have to be the topic of some one's news story. It appears the last few seconds of this team's life mirrored events that occur all too often. They pressed on into deteriorating weather, and when they were in solid instrument-conditions (in the clouds) the pilot elected to descend and turn. He was looking for the ground. He found it. Imagine if they has just turned back, or diverted, or simply landed when things started to deteriorate. NEMSPA is asking us to use abort-criteria; if we have to slow down or descend due to weather we should ABORT. As the crazy blond girl said, "stop the insanity!" As the HAI t-shirt says, "land the damn helicopter." Goose: "Okay Maverick, time for some of that pilot stuff..."
On the Witham Field diagram, at each end of runway 12/30, there is a small rectangular item listed as "EMAS." 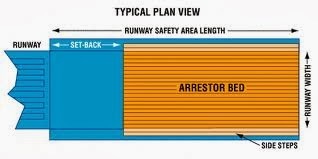 Googling EMAS reveals that someone has figured out a new way to make a buck, by selling a product that brings a runaway airplane to a stop after it leaves the end of the runway - assuming it's on the ground. or where dangerous terrain or obstructions exist beyond the stopway /EMAS area. It consists of high - energy - absorbing materials installed in the RSA"
So, what does EMAS mean to me? Well I probably wouldn't want to land my helicopter on it. I imagine it works like one of those glue-based mouse traps, soft and sticky. Click here for a good review of information on airport diagrams , for instance if you don't know what the new Big "D" is for, or what RSA means. Is Your Hospital Security Guard Uniformed or Uninformed? Imagine you have just departed a hospital helipad. A security guard on duty notices something peculiar about your aircraft. Would she know what to do? Would she know who to call? It was quiet in the early morning stillness. The alert-tones had screamed across the radio around 3:00 AM, and the entire crew was roused from sleep. The pilot checked the weather and accepted the flight, and then the three of them walked downstairs for the short ride to the helicopter. As each approached the aircraft, they split off into different directions. The medic went to remove and stow the heater, the nurse began her walk-around check on the left side. The pilot went down the right side, passing the nurse near the tail, and upon arriving back at his door put his hand on the shore-power extension cord plugged into the receptacle underneath the door-opening. As the crew climbed in, he lifted the cord off of his door handle, where it had been draped as a reminder to be removed, and was just about to grasp the plug and pull it free when a deep voice sounded out of the darkness. "What'r y'all doin?" The low-country drawl was thick on the security guard, Omar, who had ridden up on his bicycle to break the monotony and chat up the crew. He was bored after hours alone riding around the parking lots. "Hey Omar! We are headed to Douglas; gotta go get someone..." answered the pilot, turning as he spoke. As he rotated to the left, the pilot dropped the cord in his hand to the ground. 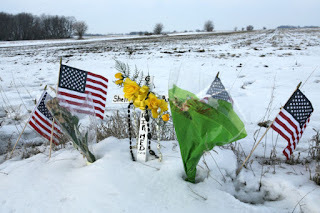 He was a friendly person, and always took time to speak pleasantly with others. "Well, it sure looks like a nice night for flying. I'll see y'all when you get back." "Okay! See you in a bit." The pilot smiled and turned back toward the aircraft, thinking about the time that had elapsed since the first tones on the radio. He grabbed the handle and shoe-horned himself into his seat, lifting his foot up and around the cyclic. He closed the door and started the engines for departure. The security guard moved back a safe distance and watched them prepare to fly away. He always liked seeing the chopper in flight; it was a real eye-catcher. As they lifted off the ground and spun slowly over their landing pad, he noticed that an extension cord was plugged in underneath the pilot's door. As he watched, and they began to fly away, the long part of the cord pulled free from a shorter cord that remained plugged into the aircraft. It reminded him of the movies of rockets lifting off from Florida, with cords and hoses pulling free as the rocket climbed away from it's tower. "That's different," he thought to himself. He had watched the chopper take off many times, and never noticed a cord before. Then his mind moving on, he shoved off on his bike for another ride around the campus. 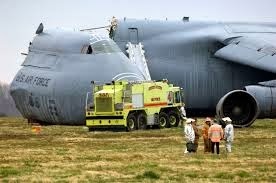 Forty five minutes later, after they landed at the referring hospital, the crew climbed out. It was the pilot who saw it first. Hanging down below the belly was the four-foot long short-cord, still plugged into it's receptacle beneath his door. He remembered having the cord in his hand, and could swear he had unplugged it. But there it was. He dropped down onto his knee to look up under the belly, and his breath caught. There, underneath the aircraft's belly, were thousands of small dents in the sheet metal, where the cord-end had flailed in the wind. "I'm fired" went through his head over and over. How could he have missed it? And just as importantly - for us - why didn't the security guard, "Omar" (not his real name) know what to do when he saw something different about the departing "chopper." Ask yourself, how would the security staff at the hospitals you fly to respond to a situation like the real-life event above. What if your aircraft departed leaking fuel, or with a seat belt hanging out beneath a door, or, God-forbid, on fire. Would the security guards in question be uniformed and informed or would reality have to reach you the hard way? At the last Air Medical Transport Conference, Rex Alexander - former president of the National EMS Pilot's Association - presented a great class on developing relationships with ALL of the people we interact with, as we go about our business. Rex believes that we can derive maximum benefit from these "customers" ( I would call them team members, but the intent is the same) by putting forth a bit of effort, and developing our relationships. Part of that development is educating people about who we are, what we do, and how they can help us. Of course, we have to reciprocate, and be willing to help them in return. It's part of the deal. A hospital security guard walked into the spinning tailrotor. The pilot and a nurse were on board the helicopter preparing for an EMS flight. The medic stayed outside the helicopter to connect the battery cart. The medic stated that the hospital security guards were standing next to him when the helicopter was started. The medic disconnected the battery cart and was closing the battery access panel when he heard a loud noise. When he looked up he noticed that the battery cart was near the tail of the helicopter. He yelled to the pilot to shut down the helicopter. When he circled around the helicopter, he saw one of the security guards lying on the ground near the tail rotor. The guard later succumbed to his injuries. The security guard had received training on how to safely approach a helicopter when the rotors are operating. The guards duties at the time of the accident were to keep unauthorized personnel away from the helicopter when it was operating. 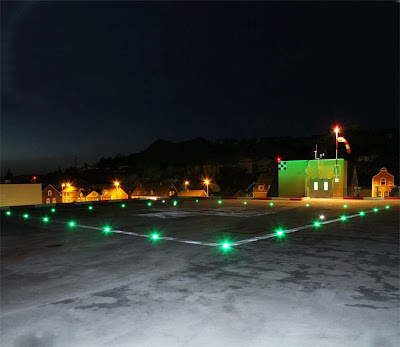 NEMSPA has a great powerpoint presentation on heliports.... Google it sometime... "NEMSPA heliport safety"
I talked to a lead pilot at one of the bases I visit about training security guards to help us with our operations. He opined that he doesn't want hospital security anywhere near the aircraft, and isn't interested in providing them any training. Fair enough. But at his base, the staff are uni(n)formed, and won't know what to do when something bad happens. 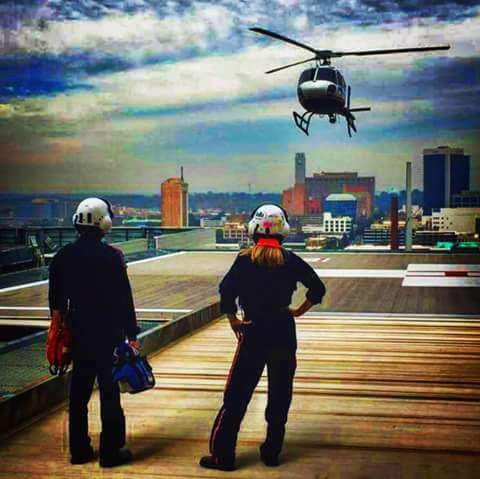 We land on scenes daily, and who knows who is recruited to help us load our patients. We do think about training them, so why not the guys and gals we see every time we land at a hospital? I remember landing with a pediatric-team at the Waccamaw Hospital in South Carolina; with several fire-fighters and security folks standing by. As we touched down, a sheet of plastic, blown from a construction site, passed between two of them. They watched dumbly as the sheet got swept up into our rotor wash and caught on a main rotor blade. I shut down the engines wondering why they didn't know enough to reach out and grab the plastic. Simple answer: no one took the time to explain this to them. "But we don't have the money to train all these people!" In our industry, we are all about leaving trinkets and pizzas with the people we think might call for our service. Perhaps we should provide such gifts to the other people we cross paths with, in and around our landing areas. 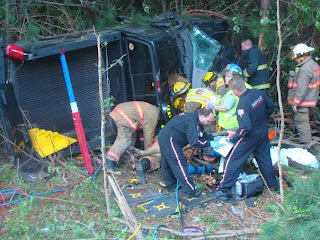 Their call might not mean another patient gets transported, it might mean we stay alive. 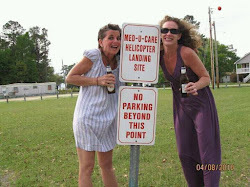 "The aircraft departed the hospital helipad with (insert problem here). An alert security guard observed the discrepancy and immediately contacted his supervisor via radio, then went one step further and notified the helicopter service's communication-center on his cell phone. The com-center relayed the info to the crew on board the aircraft who were able to land safely. The helicopter company credit's the security guard's attention to detail and knowledge of what to do when something looks wrong with saving the aicraft, patient, and crew."